This is a grand size 37.5mm.x46mm uncommon solid 14k. 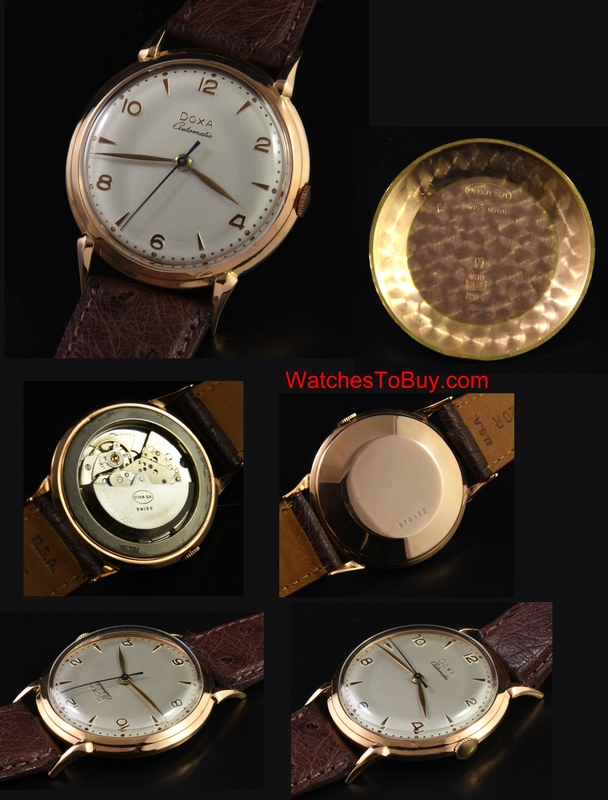 rose gold 1950’s vintage watch with a great looking dial having raised gold toned markers and original hands. I really like the horned and extended lugs. 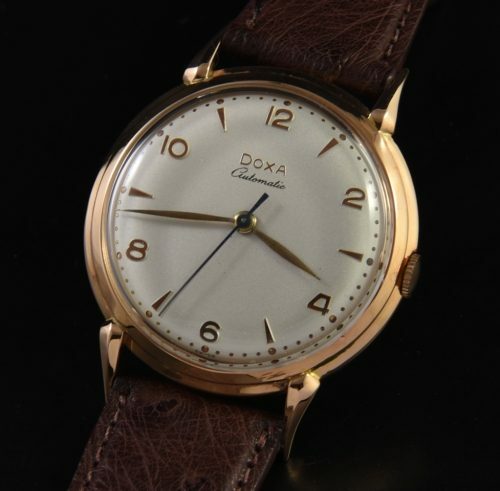 The AUTOMATIC winding DOXA movement was recently cleaned-accurate. Notice the stepped bezel. Large solid rose gold automatic watches are a treat to wear.